Graduated from Elkhart Memorial High School in 1975 and Marian University in 1979. Jimtown football statistician from 1980 to 2016; boys’ assistant basketball coach 1979-82; girls basketball assistant coach 1983-94. 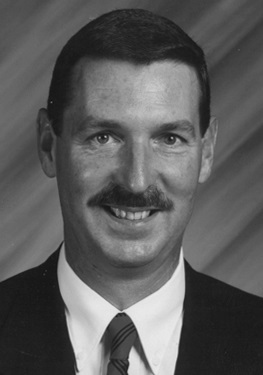 Girls’ tennis head coach for Jimmies 1985-89; girls softball head coach 1990-92; boys basketball PA announcer 1985 to 2014. Part of four Jimtown State football championship teams and two State runners-up; and two Lady Jimmies Sectional championship basketball teams. Men’s basketball statistician and assistant athletic trainer at Marian University from 1975-79.